hahahaha! She must have accidentally righted it back up tooooo funny! One of life's big mysteries! Shea, she looks not ashamed one little bit! More like "Hey! I didn't get to finish!" This was like reading a mystery, I saw the photo and knew who dun it. The stickpins are stunning! So beautiful. I could definitely see those in a beret or scarf for sure. I think your stick pins are fabulous! 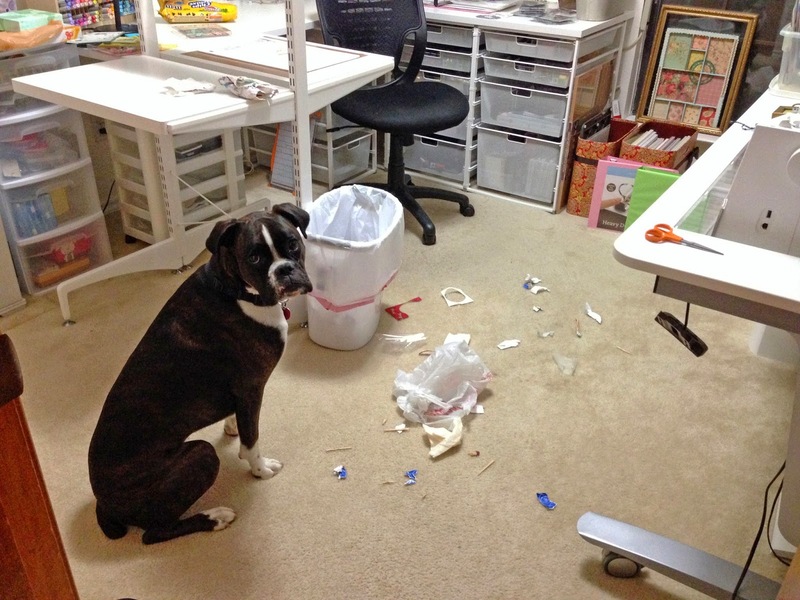 PS: I knew as soon as I saw the trash, that you must have a dog...(or dogs)....I have three rescues and they LOVE to go into my trash...they steal things from my craft room all the time...! PS: I grew up have a Boxer and my childhood dog...Loved him so much and still think of him, all these years later! !